When in need of support you can expect us to react fast, and provide you with excellent technical assistance in order to get you back in production right away. The ticket system gives you a fast and secure way to communicate with our support team. The ticket system is available to you through the ASERGO dashboard. In order to minimize hardware failures, we only use quality server grade hardware. Ahead of delivery, your server has been thoroughly stress tested. Simply put, this prevents issues that require support. In order to provide you with the best support, our in-house hardware and network specialists handle all tickets with critical care in order to resolve your problem quickly. 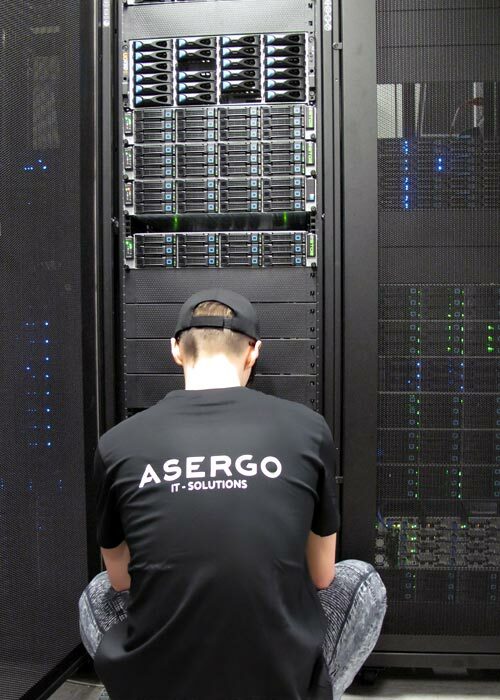 Regardless of where your server is located, you will be assisted by the same team of ASERGO support specialists.